Follow the Gogo City Guide! Unearth the essence of a city by exploring the hottest spots to eat, drink, shop, sleep and hang out. Gogo City Guides capture the character of Paris and London through an approach similar to that of Le Pigalle—so similar, in fact, that a number of the places featured in their pages are already part of the hotel's "family", such as the pastry chef Sebastien Gaudard. Gogo City Guides founder, Kate van den Boogert, cultivates the same grass-roots approach as the hotel, rooted in authenticity and creativity: "It was this synergy in our view of the city that led us to collaborate on a guide designed specially for Le Pigalle guests. 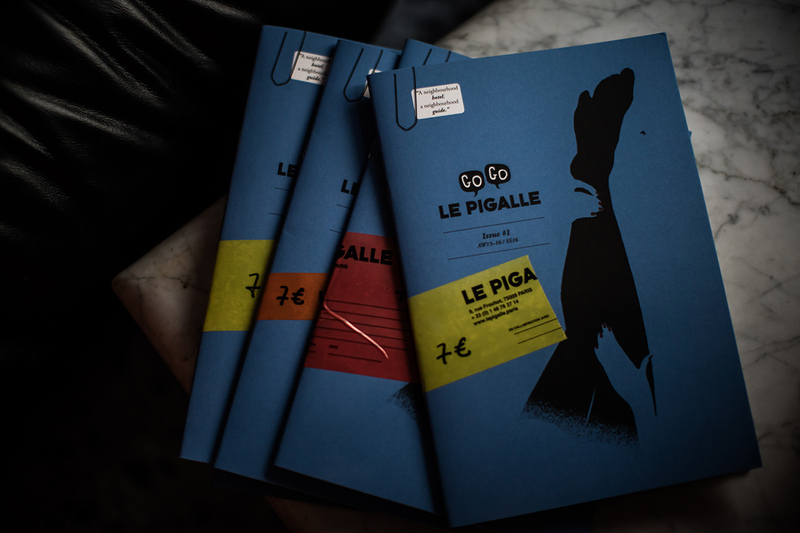 It will provide a mouthpiece for the people of Pigalle to reveal their favourite spots, both secretand obscure. Pigalle is teaming with hidden treasures like the Atypik design firm, the Kitsuné boutique and the house of high heels, Maison Ernest. All of these places reflect the identity and changing face of the neighbourhood."